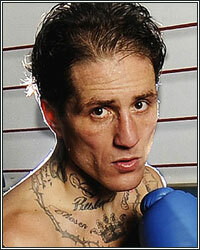 WHAT REALLY HAPPENED DURING THE MAYWEATHER-SPADAFORA SPARRING SESSION? If you didn't catch the latest episode of FightHype Radio, you missed special guest Jesse Reid, world-class trainer of undefeated welterweight Paul Spadafora, who stopped by the show to set the record straight regarding a rumored clash with undefeated pound-for-pound champion Floyd Mayweather [insert link to other jesse story here]. For those that didn't know, there's an infamous video on YouTube depicting Spadafora seemingly getting the better of Mayweather during a sparring session over ten years ago. According to Reid, Spadafora taught him a lesson that he would never forget that day, making it the last time that anyone would ever be allowed to film Mayweather while sparring. At that time, although both fighters were champions, very few would have believed that the bigger Spadafora would be able to handle the skill, speed and pedigree of Mayweather, a former Olympic medalist. Reid, however, was confident in his fighter, so much so that it was his decision to film the sparring session for proof of his own fighters abilities. Check out the following excerpt from last week's show to see how Reid recalled that day. You'll be surprised at what he had to say. To listen to the complete audio of the rest of Jesse Reid's story, click the play button below. Don't miss the next special guest and your chance to call in to FightHype Radio every Wednesday at 8PM ET/5PM PT.